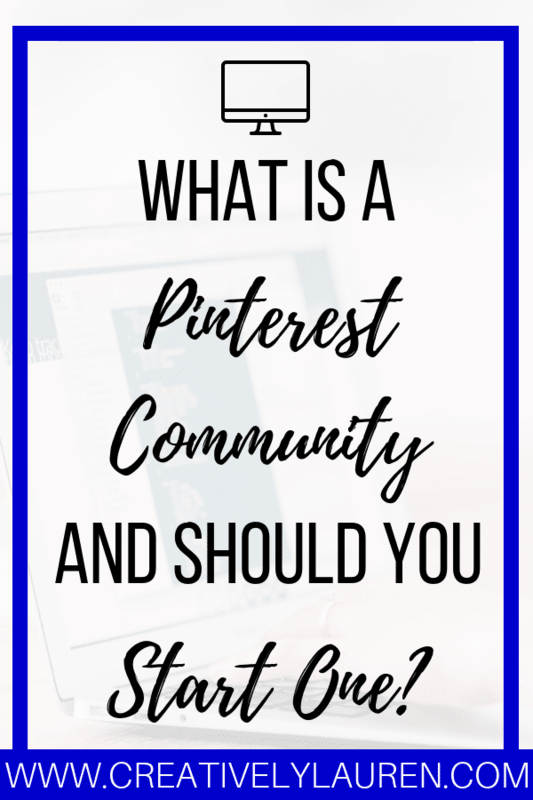 What is a Pinterest Community and Should You Start One? Hey there! Today I want to share something new and exciting in the blog world, Pinterest Community. Pinterest community is a feature that Pinterest launched quietly and doesn’t have much information on right now, but it is something that I believe is going to be very important to the Pinterest game! So, what is Pinterest Community? The community feature is a way to help bring a social element to Pinterest. Pinterest has long been known as a visual search engine, and it still is, but now it has a social feature. Pinterest seems to be taking on Facebook Groups with this new feature. It’s a very stripped down version of a Facebook group. You can create a text post, you can share a pin, or share a photo. That’s just about it. Members can like/comment on your text post, pin, or photo. So, you can post a question or start a discussion, or share your latest pin. It’s another step to help people collaborate together, which is what Pinterest is all about. Here’s something that Pinterest has over Facebook, naming the group. On Facebook, you can have multiple groups with the same name. With Pinterest Community, a name can only be used once. So you can give a community a brand specific name and no one can take it. Or you can take a more generic name like “Blogging Tips for Beginners” and become the expert group on that subject. But I already have a Facebook group? That’s awesome! But, I know a lot of bloggers, especially lifestyle bloggers, use Pinterest as one of their main channels as opposed to Facebook. Also, since Pinterest is more visual, it is an important marketing tool for bloggers. Creating a Pinterest community can be game-changing. If you already have a Facebook group that is doing well, then you might not need, or want, to start a Pinterest Community. If your Facebook group is thriving and it is giving you everything you need right now, that’s okay. I don’t see this feature, where is it? To be able to see this feature and start your own community, you have to first join a community on the Pinterest app (not desktop). So it’s kind of like an “invite only”. So, someone just has to share their group link, you join, and then you will have access to the community feature. (If you’re interested, you can join Lifestyle Blogger Initiative right here!) It can take up to an hour for the community feature to activate on your desktop once you join on your phone app. If you still don’t see it on your desktop, sign out and sign back in. This feature is brand new (as of 10/8/18), so it’s still working out the kinks. Okay, that’s nice and all, but do I need to do this? Honestly, no, UNLESS you have a name for a community that you really want (remember, a name can only be used once). Like I said, communities are brand new, and they’re still working on a lot of the details. If you want to get in on something brand new then go ahead and try it out. If you love Pinterest already and want to try it out because you’re already loving the platform, then go ahead and try it. If you don’t have much experience running a group, then I think a Pinterest community might be a good start since it’s new and pretty basic to run. But, if you already have a successful Facebook group, or Pinterest doesn’t really fit into your strategy, then I would probably skip the community feature, at least until more details come out about it. What I do suggest though, is joining some communities in your niche. Even if you don’t want to start one, I think it would be beneficial to join some in your niche. Then, you can see how they work, and create your own after observing, or you can just have another space to collaborate with others. So why did I start one if I think this? I don’t have a thriving Facebook group (I just started one), I’m on Pinterest a lot and I’m actively trying to grow my Pinterest. I’m also someone that would like to try something new, even if Pinterest doesn’t quite know what it wants out of communities yet. If you are interested in communities, even just participating, I suggest joining one and seeing what it’s all about. That way, you have the feature, you can start your own if you want to, or you can just observe and share your content and suggestions with others. Are you interested in Pinterest communities? 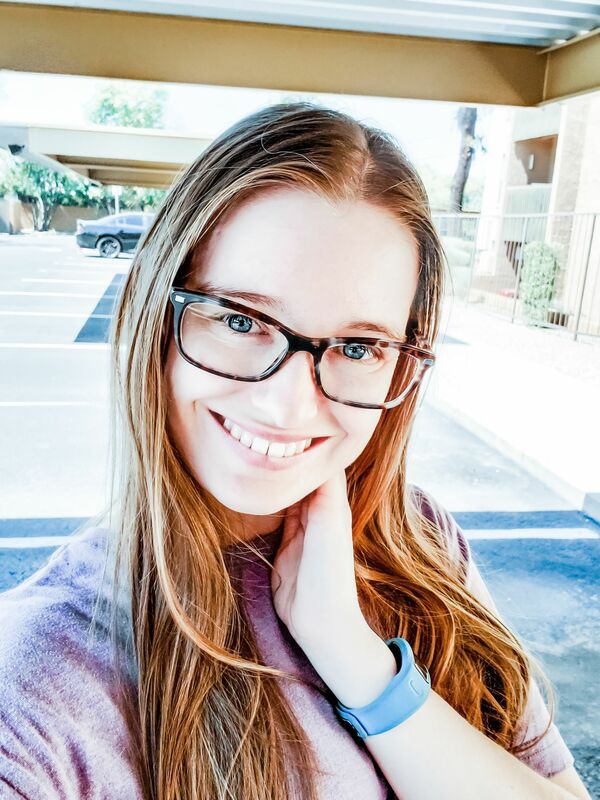 Have your own community, share it in the comments with a little description! Looking for one to join? Join us at Lifestyle Blogger Initiative, we’d love to have you!